Sodium is a ubiquitous element, you can find it in your tap water, in the sea and in most eatable foods. It is also necessary for animal life where it plays a key role in many biological processes. However - despite its overwhelming abundance - sodium is in fact not required for plant life in general (although some species, like C4 plants, do require it in small measure), meaning that it can act in a detrimental manner when present in significant quantities in hydroponic culture. Today I want to talk about what problems sodium can cause, how they can be attenuated and how we can deal with it in hydroponic crops. So what is the problem with sodium? Sodium in its cation form (Na+) is an extremely soluble ion with an ionic radius that is intermediate between those of lithium and potassium. Being from the same group it chemically behaves in a similar way to these two elements and can therefore act in a similar manner when in contact with plants. Sodium - when present in large enough quantities - will enter plants in significant quantities and replace potassium in some biological roles. Although this might work in your favor when potassium is scarce it does not replace it very well and ultimately costs you dearly in terms of plant growth when compared to plants grown without sodium. You can read this 1976 review for some good information about some general effects of sodium on plants. 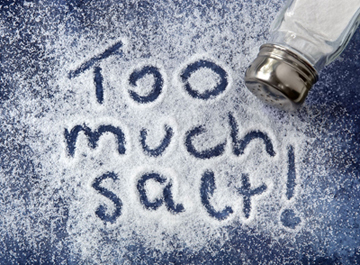 Since sodium is so ever-present it is a significant concern in agriculture. This is a reason why there are so many salinity studies - which is what the abundance of salts like sodium chloride is usually called - often aimed at finding ways to attenuate the effects of sodium to make plants grow effectively under high salinity conditions. This is not because people will add things like table salt to agricultural crops but because many areas around the world simply don't have a choice and need to deal with higher salinity conditions. Things like additives, substrates, irrigation cycles and light treatments are investigated to figure out how they affect plant behavior under these conditions. For example this recent study sought to find out if silica nano-particles could help with this problem (and they do!). In your hydroponic crop sodium might be an important concern in two main ways. The first is if your water source contains a significant amount of sodium. In general sodium starts to be worrisome above 5 mM which is around 120 ppm which is the point where it can start to significantly affect yields and growth. However sodium even at 12 ppm can start having some micro-nutrient like effects, but these can be mostly beneficial in flowering plants like tomatoes and peppers, even increasing fruit quality when given in moderation (see here). However many plants are resistant to even moderate levels of sodium if these are not kept for too long so if your source water has something like 20-60 ppm of sodium (common in the US), you shouldn't really worry too much about it. In reality huge problems usually start at around 75mM of NaCl which is closer to 1725ppm of Na, although with some Na sensitive crops this might be much lower (like lettuce where 100ppm is already very detrimental to growth). The second problem you might face only happens if you have a system that recirculates nutrient solution. Since sodium is not absorbed so readily by plants it can easily accumulate in a nutrient solution that is recirculated for a significant period of time. During one month of operation a 1 gallon per plant deep water culture system can increase the concentration from tap water 5 fold. This presents a problem since this implies that a hydroponic system that initially had 50 ppm of Na can easily end up with 250 after a single month of solution recirculation. This poses a limit to the life of a nutrient solution, even if other nutrient concentrations are adequately controlled through routine lab analysis. This means that if you want to keep solutions for longer than a few weeks you probably need to use reverse-osmosis water to avoid this problem -- although more about the issue of solution life in a future post. 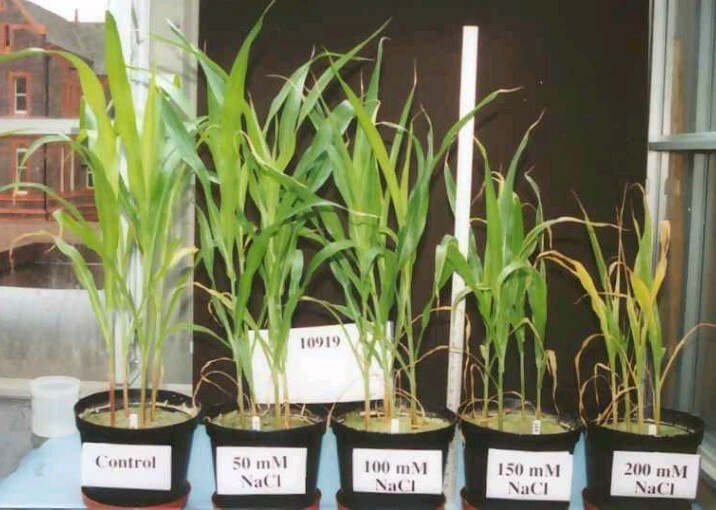 In the end sodium is an element that might be good to have in small measure in most cases, if you are growing C4 plants - like maize or sugar cane - then it is essential in a small amount (20-60 ppm) but you will want to avoid having sodium in any bigger amount or it can start to affect your growth. For plants where sodium isn't biologically necessary it can still provide some useful supplemental roles but in this case it might be best to keep it close to micro-nutrient levels, at 5-15 ppm. However if you are growing a halophilic plant - like say swiss chard - then you might want to have even more than 1000ppm of sodium to increase your growth (see here).